Psst…. Wanna make a couple quick bucks? Do you know somebody with a website or somebody that is need of hosting? Bring them over to Hosting Direct and earn money! 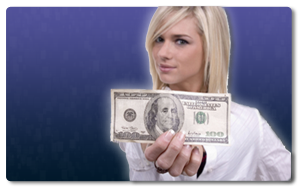 For every new client you bring to Hosting Direct, we will pay you up to $100.00! Make up to $100 for every sale! To become an affiliate, you will need to sign up for an affiliate account. After your account has been activated, you will receive a tracking link that just for you to allow you to begin to sell hosting services through email, your website and anywhere else you would like. Not a customer yet? Sign up today and start making money! Click here for the complete terms and conditions. Typical rules apply, the affiliate’s account and any affiliated accounts will both have to stay open in good standing for at least 90 days for your credit to be applied to your account. For the complete rules and restrictions, please click here.